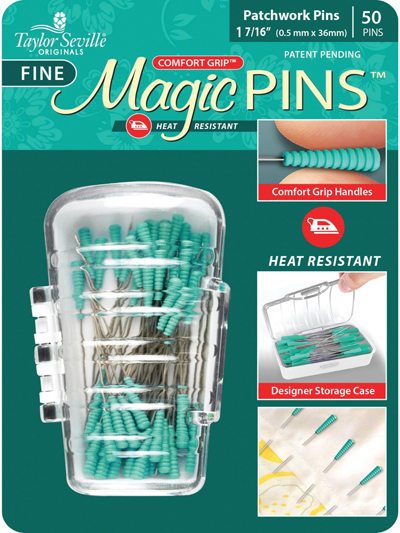 Quilt & Sew Tools & Notions - Tailor Mate Magic Fine Patchwork Pins - 50 Pcs. Step up your patchwork game with these heat-resistant pins with comfortable handle grips. 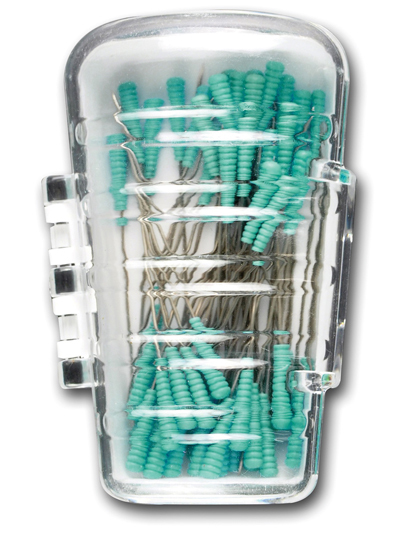 The designer case keeps them organized, and it's not the end of the world if you press a seam that still has one or two of these pins attached! 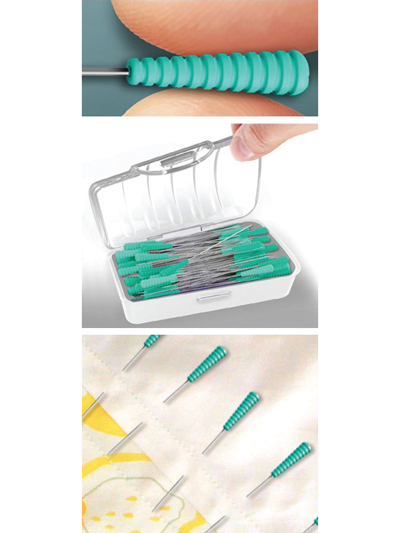 The large grip makes them hard to lose, so you never have to worry about poking yourself again. Includes 50 (1 7/16") pins.